26th April saw our first braai (BBQ). The sun might not have been shining, we might have needed a jumper, but it was pleasant enough to have a very nice evening out. 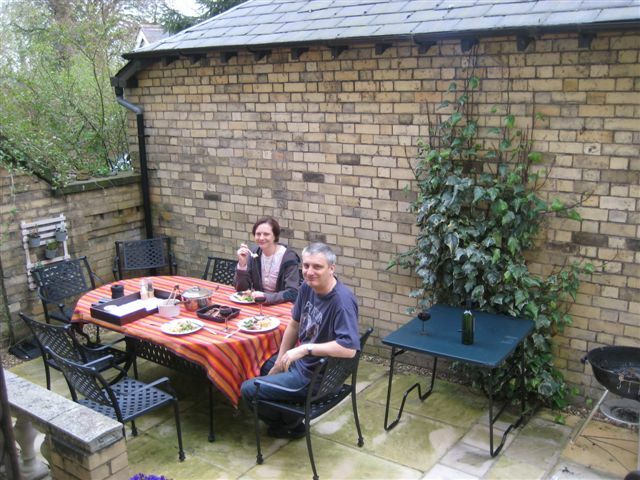 The neighbours came to join us for a glass of wine (after Bob dropped and broke a bottle of red all over the paving!) after their round of golf, but we hope it will be the first of many!